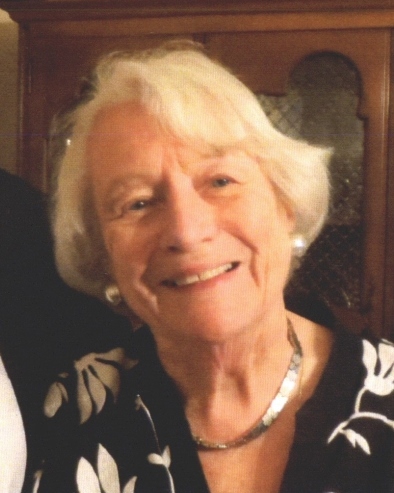 Doris Zimmermann Engel passed away peacefully on January 17, 2019 surrounded by her family. Born and raised in Little Ferry, NJ, Doris, known to many as “Zim”, graduated from Douglass College. In 1951 she married the love of her life, Philip Engel, to whom she was married for almost 65 years until his death in 2016, and together they had 4 children. While Ridgewood, NJ was always home base, Doris and Phil had several adventures living overseas starting in Okinawa and later in England, Sydney and Paris. Doris was trained as a teacher and taught GIs while living in Okinawa. Later she was a substitute teacher at Midland Park HS. She was active in community and church organizations including College Club, Rosary Altar Society, The Asia Group, and Catholic Daughters. She loved to knit and was a keen crossword puzzle solver. Above all, Doris was a loving and nurturing wife, mother and homemaker. She is survived by her children, Elizabeth Engel, John Engel (Susan Reis), Katherine Engel, and Christine (Michael) Zerkle. She delighted in her grandchildren Kristin (Jeremy) Mull, Matthew (Shanon) Engel, Andrew (Kelly) Engel, Emily Engel, and Anna, Caroline and Tommy Zerkle. She was thrilled to be great grandmother to Caroline and Milo Mull, Harrison and Hazel Engel, and Abigail Engel. Visitation will be held on Thursday January 24th from 6 to 8 PM at Feeney Funeral Home, 232 Franklin Ave, Ridgewood. A funeral mass will be held at 10 AM on Friday January 25th at Our Lady of Mt Carmel Church in Ridgewood, followed by private interment. Donations may be made to Sisters of Charity Development Fund, PO Box 476, Convent Station, NJ 07961-0476 in recognition of the support and comfort provided to Doris and her family.